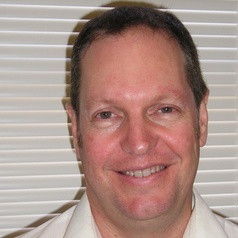 Gary Wittert obtained his medical degree from the University of the Witwatersrand in Johannesburg South Africa. He trained as an endocrinologist in Christchurch New Zealand and subsequently received postdoctoral training at Harvard Medical School and Oregon Health Sciences University. He joined the University of Adelaide in 1994, received a Personal Chair in 2004 and is currently Head of the Discipline of Medicine. He is Director of the Freemasons Foundation Centre for Men’s Health Research and founding member of the Centre for Nutritional Physiology. He leads the Florey Adelaide Male Ageing Study (FAMAS), the Male, Androgen, Lifestyle, Environment and Stress (MAILES) study and a multi-centre diabetes prevention trial of testosterone for men (T4DM), is independent Chair of the Weight Management Council of Australia, Past President of the Australian Society for the Study of Obesity, and Editor-in-Chief of Obesity Research and Clinical Practice. His research interests relate to peripheral mechanisms of appetite regulation, regulation of intermediary metabolism, and management and prevention of obesity and related complications, and the physiology and use of testosterone. He has authored over 230 peer reviewed papers. His work is currently funded by the National Health and Medical Research Council of Australia and the Australian Research Council.